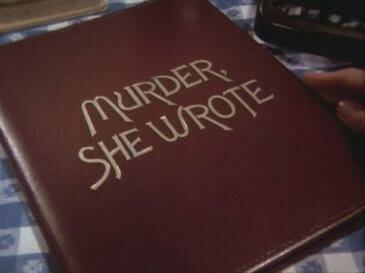 After its network premiere in 1984, the stylized crime drama Murder, She Wrote soon became a ratings hit, landing in the top 10 for 10 of its 12 seasons. The program showcased Broadway leading lady and veteran Hollywood actor Angela Lansbury as a retired New England school teacher who embarks on a career as a writer of mystery novels — only to find herself immersed in a steady spate of homicides occurring in curious proximity to her coastal New England home. The title of the series is a reference to Murder, She Said, a 1961 film adaptation of Agatha Christie’s Miss Marple novel titled 4:50 from Paddington.
. FletDr. Strangelove or: How I Learned to Stop Worrying and Love Mystery Writer J. Bucher. At age 66 and currently living in a Midwestern city, I like to think I’m still sort of cool as long as we’re grading on the curve. In 1984, though — the year <i>Murder, She Wrote</i> premiered on network TV, my coolness factor was running fairly solid: I’d been living in San Francisco (a cool place) for a decade. I had a cool job (budding actor). I supported the cool social causes. To fortify my status I’d even cast my ballot for cool mayoral candidate Jello Biafra, lead vocalist for the punk band Dead Kennedys. All this coolness came into question, however, when I found myself glued to the TV set Sundays at 8:00 pm to discover what kind of murderous soup was in store for a widowed English teacher-turned-mystery writer known by the pen name J. B. Fletcher. With an unfailing tendency to stumble upon — and singlehandedly solve — one real-life murder after another in her New England coastal town, this Miss Marple–like character soon made a name for herself well beyond the boundaries of quaint and scenic Cabot Cove, Maine. 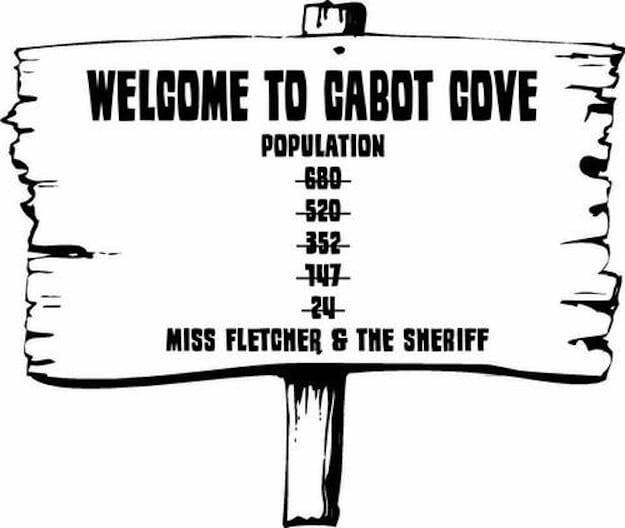 Soon after Murder, She Wrote entered the public consciousness, the show and its star performer became the subject of lighthearted humor involving the unusually high murder rate within the show’s setting, Cabot Cove, Maine. Some theorists advanced the facetious notion that Jessica Fletcher herself was always the murderer and, therefore, a serial killer. Such attention helped spur the success of the show as well as several spin-off novels, a short-lived spin-off TV series (The Law & Harry MacGraw starring frequent guest star Jerry Orbach as a private investigator), a board game, a jigsaw puzzle and, after the series was cancelled, 4 TV movies.